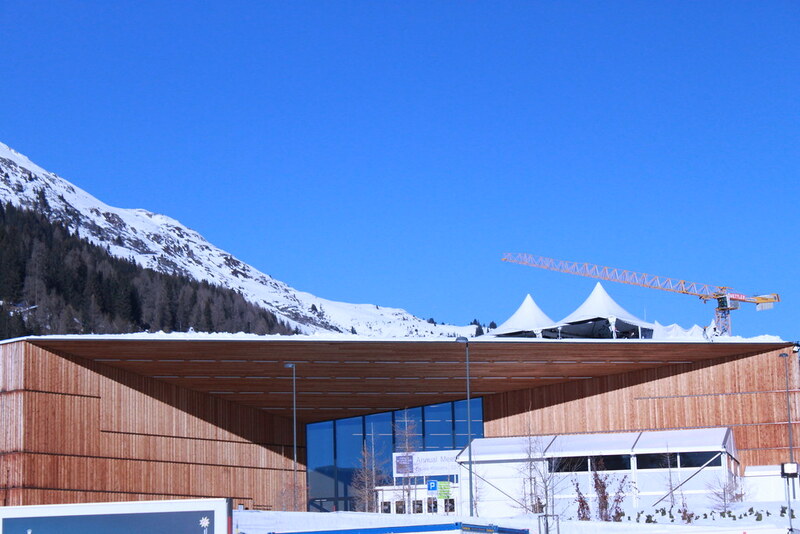 During the World Economic Forum, advertisements aren’t the only things that transform the city of Davos. 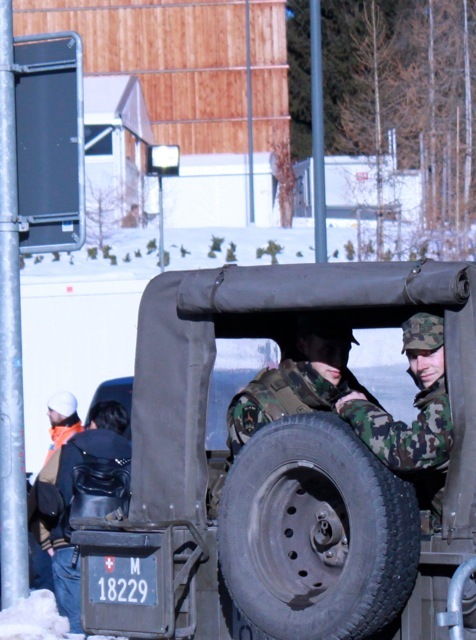 With more than 3,000 soldiers from the Swiss Army and Police, the city turns into a heavily guarded fortress. And if this was not enough, helicopters and fighter jets will be controlling the Airspace. Guards controlling one of the entrances to the Congress centre. 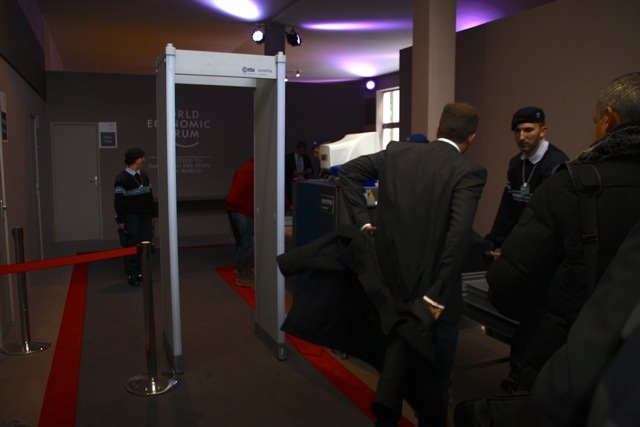 The three main security zones, the Congress Center and the two main hotels are strictly reserved for WEF participants only, and you first have to pass airport-like security checks. 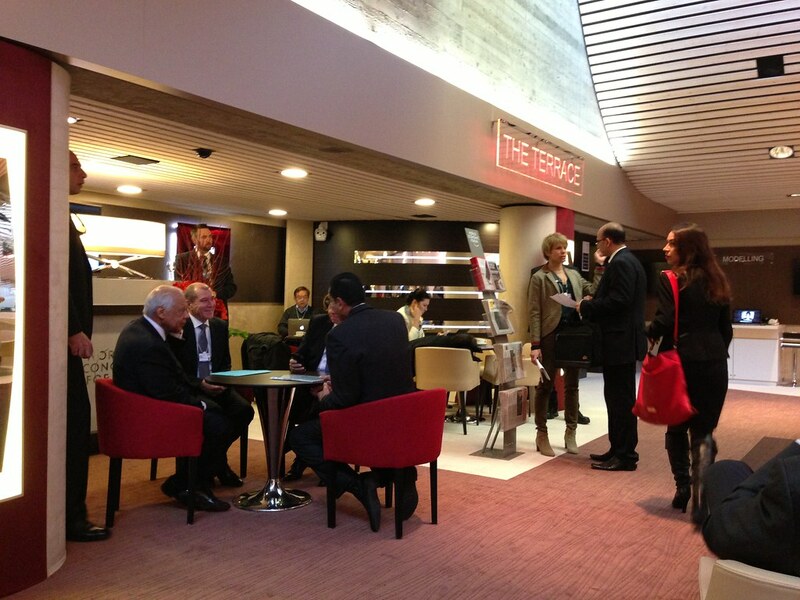 The Prime Minister of Egypt is having a meeting, and you can spot three body guards. If you look closely, there are two snipers on the roof, well-camouflaged in white military outfits. 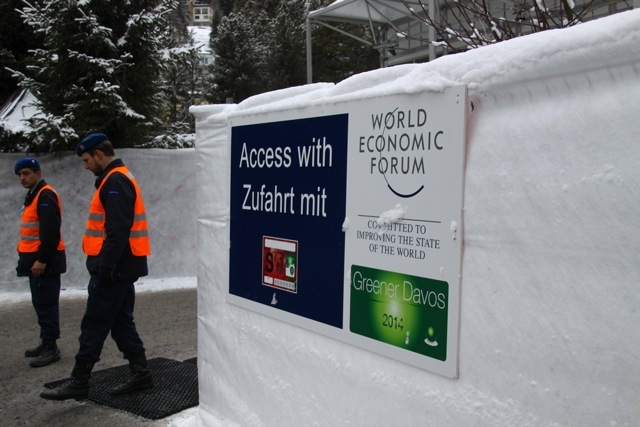 There are over 1,000 ground soldiers patrolling the streets of Davos and surrounding areas.